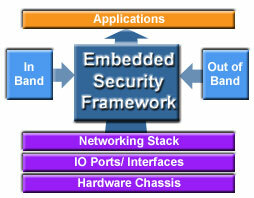 TELEGRID is pleased to announce the launch of its Embedded Security Framework (ESF). The ESF helps engineers design STIG compliant embedded systems quickly. The ESF is a structured collection of encryption and authentication modules designed to accelerate the design and development of embedded systems. It is based on TELEGRID’s 30+ years of design, development and production of embedded systems in the field of voice and data encryption, secure unified communications and management of networked encryptors. The Framework includes all relevant documentation (e.g., FIPS 140-2 certificate, STIG questionnaire, etc.) to speed the certification process. By incorporating security early in the development cycle product designers can eliminate late-stage redesigns thereby reducing cost and development time. To learn more about the ESF and download relevant documentation email us at sales@telegrid.com or click here. TELEGRID recently completed the redesign of its website. The new look site includes information on TELEGRID’s embedded software security tools as well as equipment that has been developed with its Embedded Security Framework. Check out our website to see our products, read our blog or follow us on social media.